Sunday is going to be a big day for the Austin green building community, and enthusiasts are going to have to choose between two exciting events. First is the 16th annual Cool House Tour. 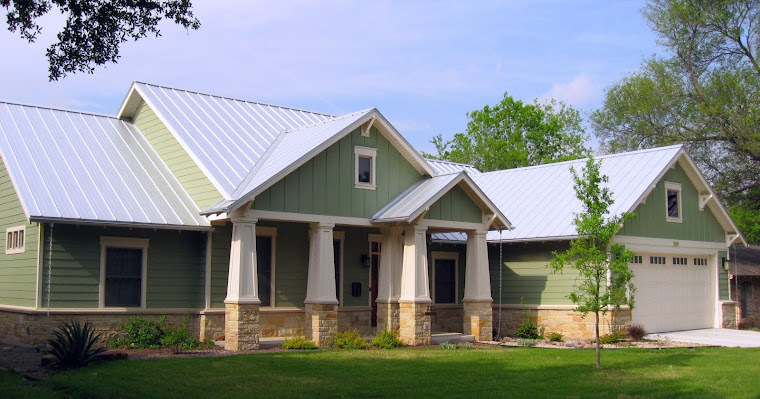 Sponsored by the Texas Solar Energy Society and Austin Energy Green Building, this year's tour features ten extremely green homes ranging from a volume builder model home that happens to be net-zero (due to the addition of solar panels) to extremely high-end custom homes with every energy-efficiency/water conservation/waste reduction feature you can imagine. Every year the caliber of the homes, and the breadth of the selections, seems to rise, and this year is no exception. Check out the tour on Sunday from 10 until 6; tickets are available for $20 at Treehouse, Zinger Hardware, and at the homes. But if totally awesome green houses aren't your thing, the Austin Solar Day is taking place at the Convention Center (in conjunction with the IEEE's photovoltaics conference). In addition to a high school photovoltaics competition, Solar Day offers a full schedule of presentations by solar manufacturers, researchers, representatives of various non-profits, and others. Looks like a good time to me. (And speaking of time, the festivities start at 10 and end at 3.) Solar Day is free.